As an archaeologist, I’m used to reporting old news, and this is pretty old – however, might be of interest. 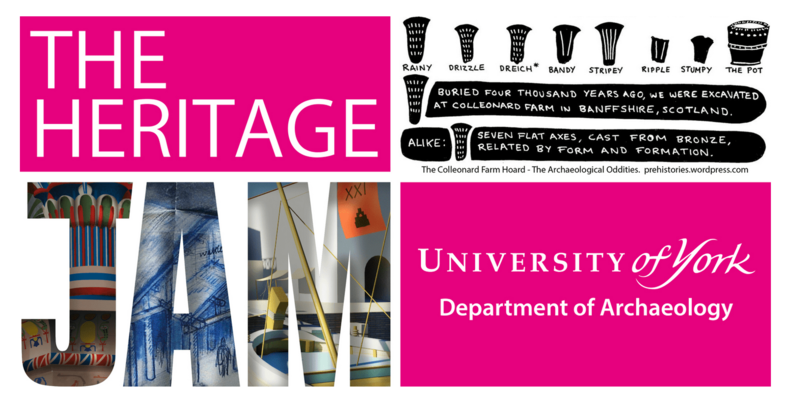 In 2014 and 2015 I participated in the University of York’s Heritage Jam. The Heritage Jam is a really excellent initiative, bringing together an eclectic group of archaeologists, gamers, makers and heritage specialists to hack together a project within two days of intense work, locked in a small room. For those not able to travel, there is also the option to participate online. As well as the final prototype each team is expected to produce a paradata document, that outlines the motivations behind the project and also expands a little on the method and technologies used. The intense session really pays dividends and being locked in a room focuses the mind to get a lot of things done – without the constant distractions of the real world. In 2014, my team won first prize with our ‘Voices Recognition’ project which explored the auralisation of a cemetery in York, and in 2015 I was awarded Highly Commended for my individual entry, the Dead Man’s Nose, a device which I developed, built and use to deliver smells in-situ while investigating archaeological sites. I used it to explore the olfactory landscape of the Moesgaard Museum Archaeological Trail (Denmark) – a link to the video and paradata is here.